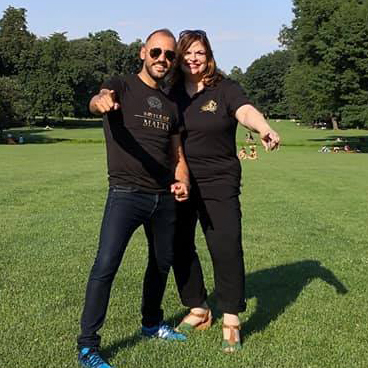 This year’s Battle of Malta in October looks set to break all records thanks to a hugely successful pan-Europe promotional road trip by Casino Malta organisers Telly Bartolo and Diane Fenech. An enthusiastic response at casinos right across Europe – coupled with huge fields for MPN’s weekly online satellites – means nearly 600 hotel rooms have already been sold for the event – and there’s still three months to go. So far, there have been live satellites at tournaments in Sicily, Cantina and Milan as well as the recent MPN Poker Tour event in Sunny Beach, Bulgaria. There has also been a lot of interest and support from European media. Bartolo and Senech aren’t done with their road trip however; this weekend they’re off to the European Poker Series at Casino Gran Madrid Torrelodones where they’ll be promoting the event to players from all over Spain. The €550 buy-in Battle of Malta Main Event has three start flights in total with Day 1a taking place on Thursday, October 25. The final Day 1c is on Saturday, October 27. All Day 1s have 40 minute blind levels and will play down to 15% of the field – with all survivors making the money. In addition to the live satellites across Europe and weekly satellites on MPN, which have three packages guaranteed, there will also be several super satellites held live at the tournament venue, the InterContinental Arena Conference Centre, with the first one taking place on Wednesday, October 24. The Battle of Malta, which was founded by PokerListings in 2012, has grown every year and last year broke its own records with a staggering 2,074 entries, making it the largest poker tournament ever held in Malta.